The GBAR Collaboration gathers 50 members from 15 Institutes, with the goal of measuring the acceleration of hydrogen antiatoms in the Earth gravitational field. The experiment is being installed at CERN at the AD and will take data with protons then antiprotons from the new ELENA descelerator in 2017. SPP physicists are at the origin of the GBAR project. 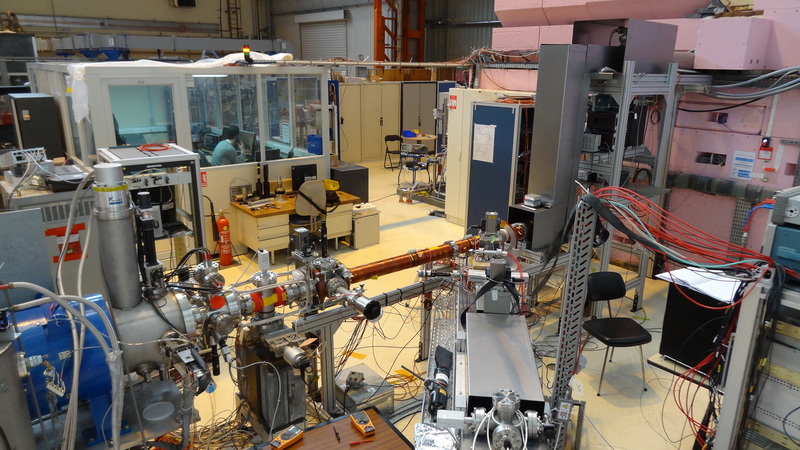 Specifically the SPP group has developed a novel high-intensity source of positrons, based on an electron linac, and has managed to store these positrons in a Penning trap. The GBAR group gathers five physicists and four students. The group leader is Yves Sacquin.